Tigers Eye belongs to the Quartz group and is chemically silicon dioxide and it may contain iron. 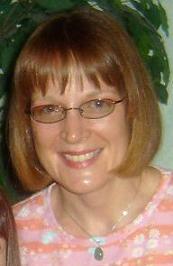 Silica and iron are mineral ingredients found in mineral makeup. This stone has a hardness of 7 and a trigonal crystal system. The process of formation of this stone is pseudo morphism of Crocidolite in Quartz. True to its name, this stone has a golden or yellow brown color with limonite fibers. It's found in abundance in South Africa although deposits have been discovered in USA, Burma, India and Western Australia. The stone gets its name from the limonite fibers that give the stone a silken sheen which when polished into a round shape. This makes the observer feel that he is looking at an eye. This is why the ancient believed that this stone could heal and take care of all kind of eye problems including the evil eye. Amulets were made from this stone that could protect people from demons, spells and even the evil eye. At a spiritual level, tiger's eye helps people to face problems and dark spots in their lives with courage and faith. It enhances the faith of the person, which helps in tiding over the bad times. 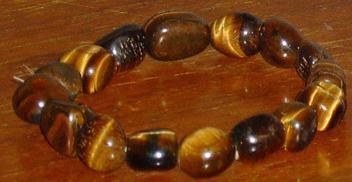 Emotionally, tigers eye aids in preventing any kind of emotional onslaught that may disturb the balance of the person. It also helps in reducing the effect of stress and moods on the person. Tigers eye also helps in reducing pain in the physical body by relaxing the nerves and decreasing the energy flow in the body. It helps in relaxing the adrenal glands. The tiger's eye should not be in contact with your body for more than a week because it decreases the flow of energy. This stone is better for meditation rather than direct physical contact for the tranquil and soothing effect on the soul. Tigers eye is a practical stone that helps in fighting the challenges of everyday life. It affects the solar plexus and the root chakra, which helps the person to remain calm and centered in all situations. In times where a lot of effort is needed to achieve goals, tiger eye helps in fighting problems like fatigue and depression. It helps in activating the reserves of creativity, intention and strength in a person for achieving their aim. Since this stone belongs to the Golden Ray family, it can work as a channel for connecting to the realm of Christ. This stone is great for people involved in mediation since it aids in understanding the problems of both the parties and reach a common ground. Tigers Eye is a combination of the sun and the sand. As a result, it helps in achieving stability in life. It helps in becoming practical by balancing the emotions and sexual desires. This stone helps in increasing and enhancing feelings of optimism and brightness. It also works for stabilizing the yin and the yang energies and in achieving and maintaining wealth. Tigers Eye helps in alleviating problems associated with eye, throat, and reproductive system and enhances night vision. It helps in healing broken bones and aligns the spinal cord. This stone belongs to the zodiac Capricorn and vibrates to number 4. When wearing mineral makeup, you may even be wearing elements of the tiger’s eye mineral and feel the crystal meaning, on your face. Think of it in a metaphysical sense.